I posted my pics for review a couple of months ago. I had been on minox foam for 1.5 months I think when I posted them. This is my new hair:-| after a couple more months. I have shed a ton of hair and it is now imposible to cover with dermatch. I have to admit that I shed a ton on dut and that never grew back to its prior state. It is clear evidence of the degree that shedding can take though. » foam for 1.5 months I think when I posted them. » clear evidence of the degree that shedding can take though. why are you still on it? » why are you still on it? i have only been on the minox for 4 months so is this the initial shed followed by massive growth. i don’t think so but they say don’t get of the boat durring the storm but ride it out. Let’s put it another way hanging. 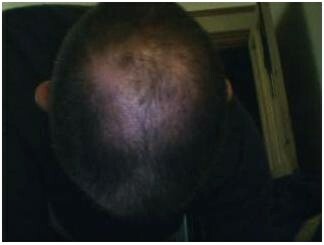 You are speaking to someone who shed on fin (never grew back); shed on dut (never grew back; shedding on minox. Have you got any better ideas??? Marco I am ignorant in that I don’t know your complete story. Did you have a transplant? And let me tell, you have a striking resemblance to me. I had to look twice because we look like brothers. We have the same hairline and skin color along with facial features… strange. Why are you shedding? MINOX. Buzz it down bud. » have the same hairline. Why are you shedding? MINOX. Buzz it down bud. Never had a transplant. My details are in the link on the first part of the post. Take a look and tell me what your clinics view would be. FUE or strip. I would say that the final area to cover will be 170cm2. I have very dense but fine donor. The absolutely safe zone is about 190cm2 as you will see in the link. Listen Marco you stated that your dad is 10 years in front of you whe he went to a NW6. That means he went to a NW6 10 yours befor you started shedding or what? Also, f that is the case why would stop Dutasteride or finasteride? It WAS holding you all this time right? Am I confused about your story or what? It means that he was at my stage of hair loss when he was 10 years younger than me. » holding you all this time right? » Am I confused about your story or what? So you when you shed the hell and back did you immediately stop Dut., or did you continue for six months or more and then give up? » did you continue for six months or more and then give up? i took dut for three and a half years. I shed for the first year. So I was on dut for two and a half years after the shed stopped. » » did you continue for six months or more and then give up? » on dut for two and a half years after the shed stopped. Un freakon believable Marco. Have you found anyone elso that had this problem? Mass shedding with Dutasteride as apposed to finasteride. Were you good about taking it everyday or did you skip days, or were you like a woman that misses her contraceptive pills? Be honest… I know you are but think about it. Marco- Just curious, did you experience any sides from the foam such as itching, redness, burning, or any other irritations? » » why are you still on it? » boat durring the storm but ride it out. Let’s put it another way hanging. » (never grew back; shedding on minox. Have you got any better ideas??? » » » did you continue for six months or more and then give up? » » on dut for two and a half years after the shed stopped. » problem? 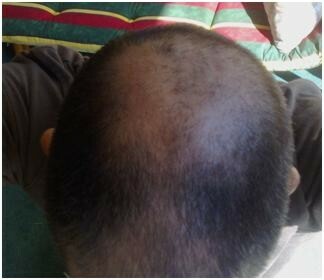 Mass shedding with Dutasteride as apposed to finasteride. » Let me ask you this? » are but think about it. I took dut religously every day. BTW, I mentioned that I did shed on fin at the hairline but not as much as with dut. I took fin in 1991/2 for a year just before it was FDA aproved. I have never mentioned this before and do not want to get into the detail but I was the first to introduce it to the U.K together with a harley st derm clinic but leave that one their please. » » foam for 1.5 months I think when I posted them. » itching, redness, burning, or any other irritations? No, actually I find it pretty good all round and much better than the lotion. BTW, from my experience, the worse a treatment is for my hair in terms of shedding then it is probably a good treatment for others. ok but not “going there” creates a missing link to your unique story Marco. Why did you shed so massively? Like hangin in said, are there topicals that your scalp doesn’t like? How is your diet? Do you excessivly drink alcohol or drink absinthe as it is legal in the UK? Dut and fin were oral they also caused sheds. I used dut topically and that really accelerated the shed. It did dry my oily face though. i’m going for the nizarol tommorow. I don’t like the idea of a cream but I will get the shampoo and if I can find a ketaconazole lotion I will try that. i did use the shampoo a long while back but never gave it a good chance. Thanks, hangin for the advice. » ok but not “going there” creates a missing link to your unique story Marco. » alcohol or drink absinthe as it is legal in the UK? Massive shedding on dut really is not unique. I don’t drink regularly or binge. I drink less than average. Actually alchohol may have some antiandrogen effects. There is one unique thing that I never mentioned. My hair turnover / daily loss was always very high for the last 20 years. In the thinning area I can lose 500 / day and yet I had a full head of intermediate follicles for the last 20 years but rather fine and short. There may be a link there. » that really accelerated the shed. It did dry my oily face though. Dutasteride cream??? Oral Fin Dut… Look I am a hair detective… Break it down for me Marco. Tell me exactly your regimens for the that three years you shedded. Be Honest man even if you over did something. How did you self medicate? 1mg fin ALONG with Dut and dut cream??? Let’s go through this together and figure this out. Something is not right and we need to figure it out.
" Actually alchohol may have some antiandrogen effects." » » that really accelerated the shed. It did dry my oily face though. » 1mg fin ALONG with Dut and dut cream??? » and we need to figure it out. NO, the dut story for many of us is well known on the board. A lot of people had massive shedding on dut. Some of us tried it topically for a month or so. Just break open a capsule and apply. I tried it on one side of my face and that side of my face was dryer in terms of sebum. it was a kind of experiment due to many problems people were having. I began to use it on my scalp for a few weeks but I believed it started another round of shedding so I stopped. I took fin years before the dut but not at the same time.